Once you find yourself in downtown Calgary, there is a free zone on the light rail transit system, known as the CTrain. See the Calgary Transit CTrain Map to plan your day if you want to cover more ground, for example making it down to the Mewata Armoury and Shaw Millennium Park. 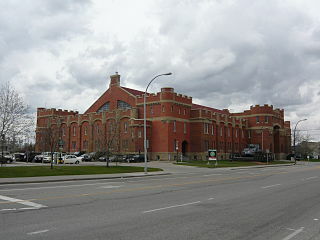 The Armoury is a gorgeous red brick building built between 1915 and 1918, according to the Armoury’s website. The Calgary Tower is probably the most iconic building and well-known of the attractions in downtown Calgary. According to the Calgary Tower website, the tower stands 191 meters above ground, and it definitely towers over the skyline in the area! You can stand on the glass floors, if you have the courage, they were installed in 2005 to celebrate Alberta’s Centennial. If you need a little bit of liquid courage prior to standing on the glass floor, you can stop in for lunch at one of the rotating restaurants, called Sky360. Sky offers a lunch menu, an express lunch menu, dinner and brunch. If there aren’t any national-news-making protest events on, you can also peruse the gift shop, look through the binoculars, or try out the hurricane simulator. At the base of the tower lies a Tourism Calgary Information Centre, where you can discover more attractions in downtown Calgary, or just enjoy free internet access at two computer stations. Another major tourist attraction in downtown Calgary is the Glenbow Museum, housed downtown just off of the walkable Stephen Avenue. The Glenbow Museum offers three floors of exhibitions, plus a gift shop, theatre space and the conveniently located Manny’s Cafe. The museum is also fully wheelchair accessible, which is a great feature for downtown attractions. Additionally, The Glenbow Museum allows photography throughout most of the exhibits, so you can record your trip to without missing any attractions in downtown Calgary. The Glenbow Museum offers a glimpse into the history of Alberta, starting with a large selection of artwork depicting the landscapes of Western Canada. The distinctive badlands, Rockies foothills and the vast plains for which the prairies are known all feature in the exhibits. To start at the beginning, walk through the “circular narrative path” of The Blackfoot Gallery: Niitsitapiisinni: Our Way of Life. Here, you’ll learn about the First Nations culture of the Blackfoot people who inhabit an area that stretches from Montana through Alberta. For a fun, interactive experience that depicts the history of Alberta through several different perspectives, the Mavericks exhibit is a hands-on way to understand how Alberta came to be what it is today. The Alberta of today relies heavily on extractive industries, and the Treasures of the Mineral World permanent exhibit covers all sorts of information on the foundation of Alberta’s economy. The selection of permanent exhibits at the Glenbow Museum teach visitors an understanding of the landscape, culture and history of Alberta, and what makes an Albertan an Albertan today. Aside from the permanent exhibitions, the Glenbow Museum presents rotating exhibitions throughout the year. In early 2014, those exhibits include Bryan Adams at Glenbow, Worn to be Wild: The Black Leather Jacket, and Made in Calgary: the 1990’s at Glenbow. 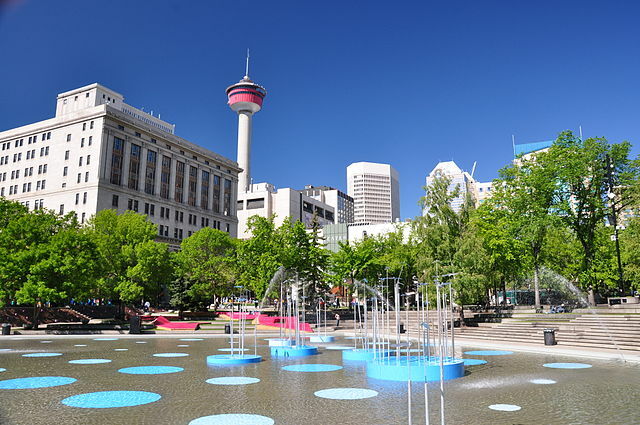 If you plan to take in The Glenbow Museum, a top choice amongst the attractions in downtown Calgary, leave yourself several hours in order to see most of the excellent exhibits.